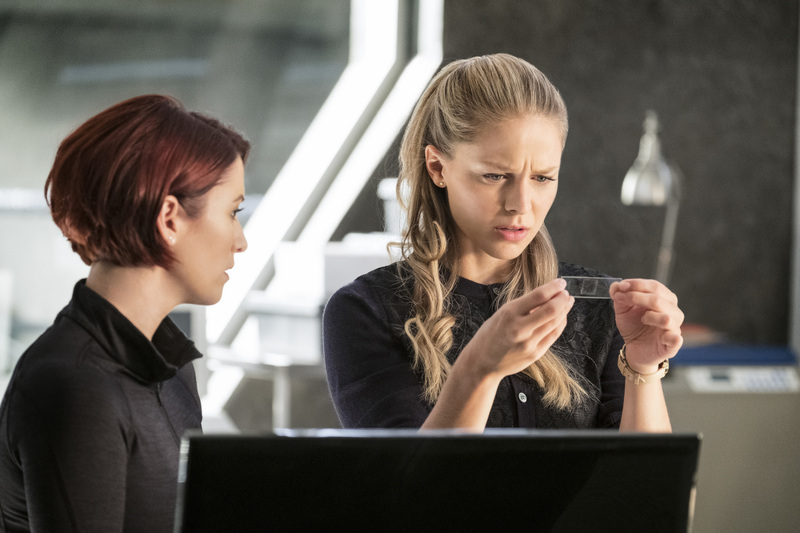 Supergirl Season 3 Episode 7 Photos: "Wake Up"
Chad Lowe (Pretty Little Liars) returns to direct episode 7 of Supergirl Season 3 titled “Wake Up”. In this episode, Samantha’s story really starts to pick up as Samantha struggles to wrap her mind around the all the seemingly unexplainable events happening to her recently. Could her mother, Patricia Arias (guest star Betty Buckley) provide some answers? Guest Star Carl Lumbly also returns as Myr’nn. J’onn and his father attempt to reconnect as Mry’nn also tries to adapt to life on his new home Earth. The CW network has just released an official gallery of photos for the episode, which will air on Monday, November 20 at 8/7c. Episode 7 marks as the last episode before the annual DCTV crossover event with Arrow, The Flash, and Legends of Tomorrow. In case you missed it, you can find the synopsis for the crossover here. Supergirl Season 3 air Monday nights at 8/7c on The CW!